When can vendors and vehicles load-in? 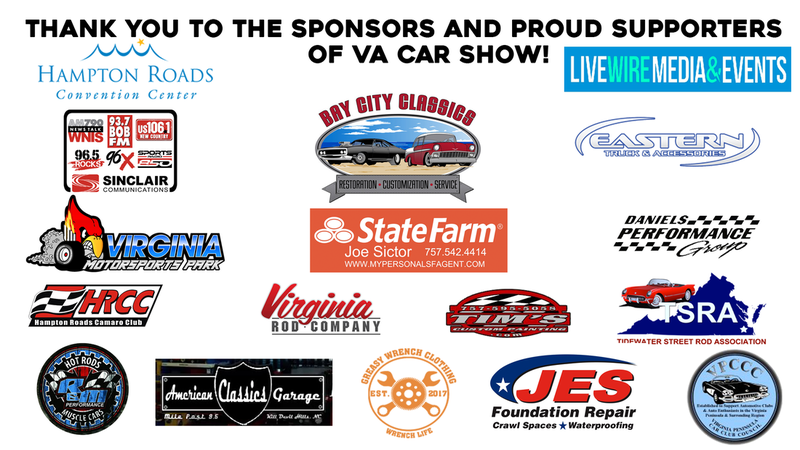 Vendors and feature vehicles will load in on Friday, January 4th from 9 a.m. until 8 p.m. Vendor booths will need to be setup by 9 p.m. on Friday. When can vehicles load-in? All vehicles must load into the Convention Center on Friday, January 4th, 9am - 8pm and stay inside the building until Sunday, January 6th . There is trailer parking in the back of the Convention Center parking lot. Staff will be onsite to guide you upon arrival. When can vehicles leave? Vehicles can leave the building after awards on Sunday at 6pm. It is a 2 day show, with judging and events on both days. You may leave your vehicle trailer onsite. Any specific questions: email brad@live-wire-media.com. We will provide onsite security both Friday and Saturday nights. When can we pick up our information packets and passes? You may pick up your registration packet and event info at the Hampton Roads Convention Center on Friday, January 4th during load-in, between 8 a.m. and 8 p.m. I have more questions, who should I contact? Please email brad@live-wire-media.com or call 443-366-5944. If you win Best In Show, you cannot win your entered class. You may only win in one category to make it fair for all participants. We have professional judges that are certified and will be judging each vehicle. The car must be opened to be fully judged. Inside and outside entries will be judged separately. There will be a cash prize for Best In Show.